At seven years old, Brooke lost her mother. Years later she would lose her father, Jacob. After his death, Brooke began to learn about the many secrets surrounding her life. These secrets would lead to a heavy disagreement with Trent, her finance. Her grandmother tried to help her understand the past. To learn all of her past, she would have to leave Raleigh and go to Atlanta. It is easy to feel deep sympathy and empathy for Brooke. There are feelings for mothers too. All mothers step out on an unknown path. There are dramatic stories some mothers can tell. This one in "Seeking Sarah" rings true. I think we've all felt some of the mother's feelings or the emotions of the daughter. There comes a time when these words are taken with more than a grain of salt. "Tired of the games...Tired of the losses." This is a relaxing cozy to read. Although the title is "Murdered by Wine," a person does not need to drink a glass of wine while reading it. As a matter of fact, Kelly does not like wine tasting. What really quenches her thirst is solving the murder of the lady tour guide. The best fun is getting to spend time with her son - in - law, Brad, and their daughter. When the ghastly incident happens, Kelly's husband, Mike, is ready to help the officers there in California. 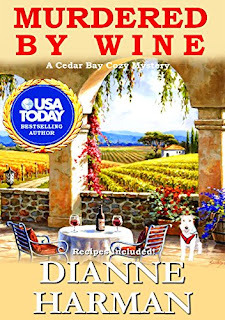 I really liked this cozy written by Dianne Harman because the murder is easy to solve. Plus, I liked learning about the wine making process. When I think of wine making, I see Lucy and Ethel on "I Love Lucy" stamping around in a vat of grapes. Now I know there is a new way to mash grapes. Machinery is used to deseed, etc. If We Can't Have Children, Who Should We Blame? In Accra, Ghana, there is a brutal murder of a woman for cultural reasons. Inspector Darko Dawson's life goes through extreme stress as he works to find the killer along with his new partner, Mabel Safo. 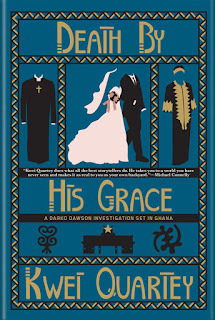 Since this mystery in the Darko Dawson mystery series involves a high amount of Charismatic religion, it is not problematic to write that Inspector Dawson's family along with himself are fighting with temptations and trials and definitely need support from the rest of the family. I felt surprised that Darko Dawson is allowed to remain on the case. The case is so brutal it causes Christine to lose her balance and serenity. Sadly, she has lost not only a cousin but her best friend. During this time, there is an obedience problem with Sly, their son. Inspector Darko must handle it immediately before it gets out of hand. My heart is really pumping faster than usual. 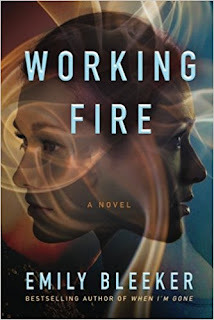 In "Working Fire" by Emily Bleeker, I have read about two sisters who watch their lives fall apart. Two sisters who lead good lives: They love their father and care for him during a very difficult illness. These sisters help each other in any way possible. One sister loves her husband and daughters with all her heart. The other sister is a paramedic. She wants to spend her life rescuing people in her community. At the same time, she gives her love to a soon to be husband and her brother - in - law and nieces. Both women share a friendship with one man who is an artist. Through sacrifice, both women want to make life better for themselves and other people. It is such a terrible time. It is war time in Germany, Poland and Paris. It is a time when one man ruled as dictator. It is his, Hitler's, decision to destroy certain groups of people. 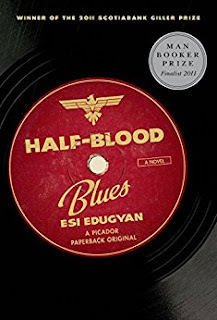 In "Half-Blood Blues" by Esi Edugyan, a German American band is the focus. We meet guys who love Jazz along with their lady friend, Delilah. There are many hardships. Their race becomes a thing of danger. One in the group, Chip, is German and Black. Sid is Black, etc. All of a sudden ethnicity becomes an intricate thing of beauty, and it is realized race mixtures are as different as cake batters. If you are open to racial harmony, you will see the novel in one way. If not, you will see it in another way. It is your call, your decision. 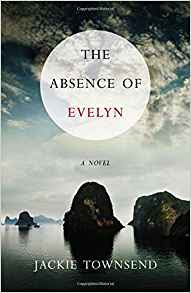 "The Absence of Evelyn" by Jackie Townsend is about the people we love. Their permanent going away need not take them away from our hearts. Our love can bridge the silences. Evelyn's life is a love story made clear through her survivors. Memorable is Marco, Evelyn's lover, and Olivia, her daughter, slowly and lovingly spending time in the place, Hanoi, that Evelyn loved the most. The novel is multilayered like a torte. However, not as sweet. There are shocking secrets, and there is forbidden love. Also, there are hard choices. It is a novel heavy in thought but easy to digest and regurgitate for further thought. It is one not to miss in 2017. Take time to meet Evelyn who made an important life decision during September 11, 2001. 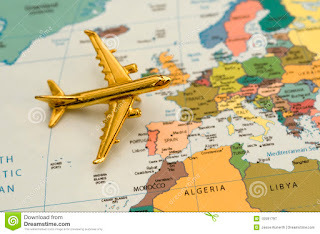 Again Rose City Reader hosts a European Reading Challenge. It seems very simple which makes it feel welcoming. A person entering can choose any genre. There are a list of countries on her blog. No one can repeat a country or author. You can overlap with other challenges. You can use e books. Pick your level from her blog. I have chosen Five Star Deluxe Entourage. The challenger must finish their goal by January 31, 2018. See all information on Rose City Reader's blog. This novel "All That Matters" by Jan Goldstein is mostly about Jennifer. The Zuckerman family are the secondary characters who help her cope with chronic depression. There is her father, Barry, her grandmother, Gabby, and her grandfather and her mother, Lili, whom we never meet. Jennifer's mother dies accidentally. The novel is heartbreaking simply because the father is really unavailable. He has a new wife and a new baby. It is also heartbreaking because there are so many losses experienced by each character. For example, there is the Holocaust family stories that Gabby has held in her heart for so long. I am learning that each Holocaust story is dramatically different in some way. Each person who has experienced it seems to come away with more new ways for their present friends and relatives to cope with life today. Seasons are so important whether in a story, a book or in a movie. Seasons are a way God uses to celebrate His ability to create. It is His hope that these times will cause us to become more creative whether coloring a red leaf, putting sequins on a lemon or painting a mountain.